Offering great value spaces with all the perks of being on-site, Long Stay parking is convenient and affordable. And on-site means closer to your departure thanks to 24/7 shuttle buses dropping you off exclusively by the terminal door. Access is easy to Long Stay using number plate recognition and once parked, you can use our free shuttle buses from one of the several bus stops. The shuttle lets you off right by the front door; at the same convenient spot you use on your return journey. Follow the Long Stay car park signs from Whitehouse Lane. Follow the approach road to the mini roundabout where the main Long Stay car park can be accessed by taking the 3rd exit on the right. Overflow Long Stay parking is also available by taking the 1st exit on the left. 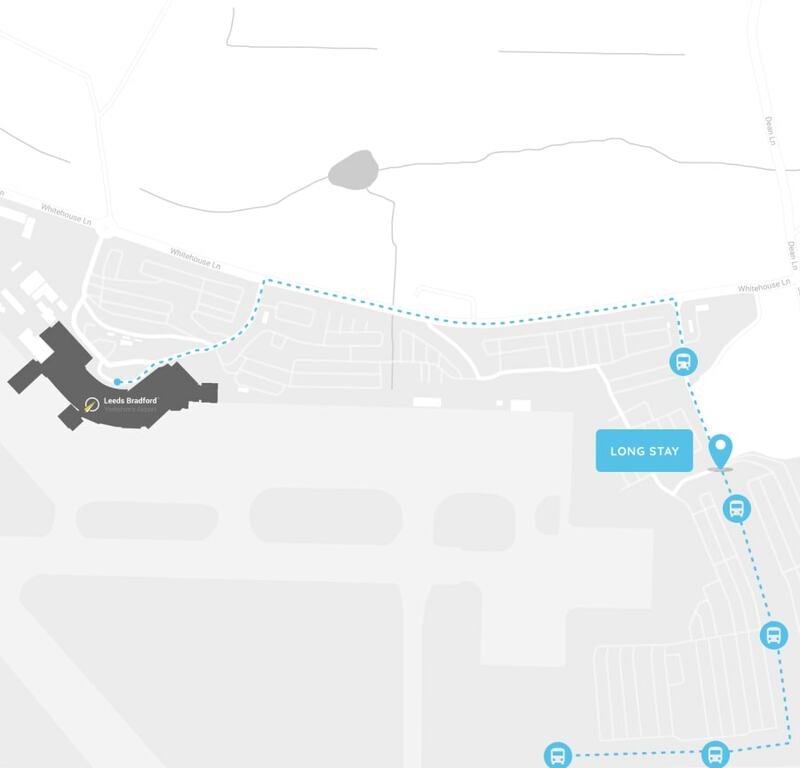 The Long Stay car park is a 4-5 minute shuttle bus to the terminal. Bus stops are located on the Long Stay access road. See our parking map for specific locations. Passengers can also turn up and park at our Long Stay car park on the day of travel. Spaces are subject to availability so we recommend booking online to guarantee your space. Our first experience with Long Stay Parking and everything went so smoothly. The Pick Up bus arrived within a couple of minutes both ways and the staff were very helpful and friendly. Thank you.